ANYWAYS! 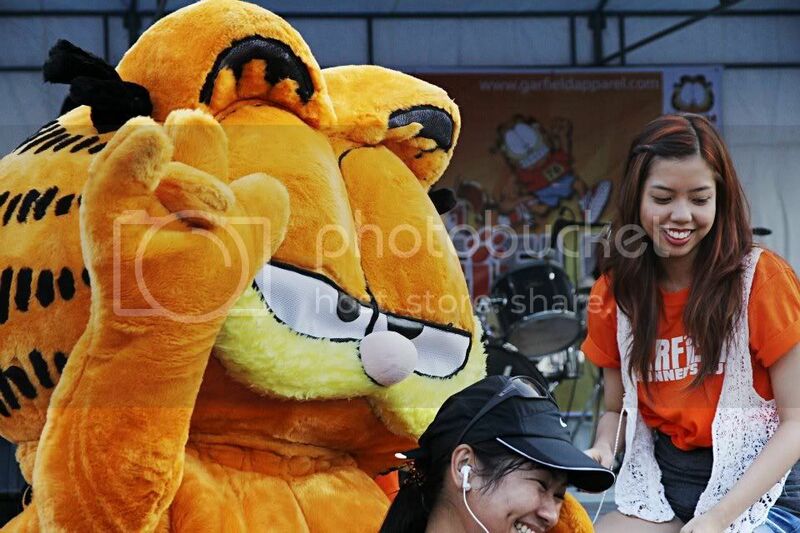 Here’s on of those CARPEDIEM TAKE EVERY OPPORTUNITY things: Garfield Clothing’s Fun Run at Manila Ocean Park! 🙂 I was tapped to be the girl host for this event and I had so much fun! 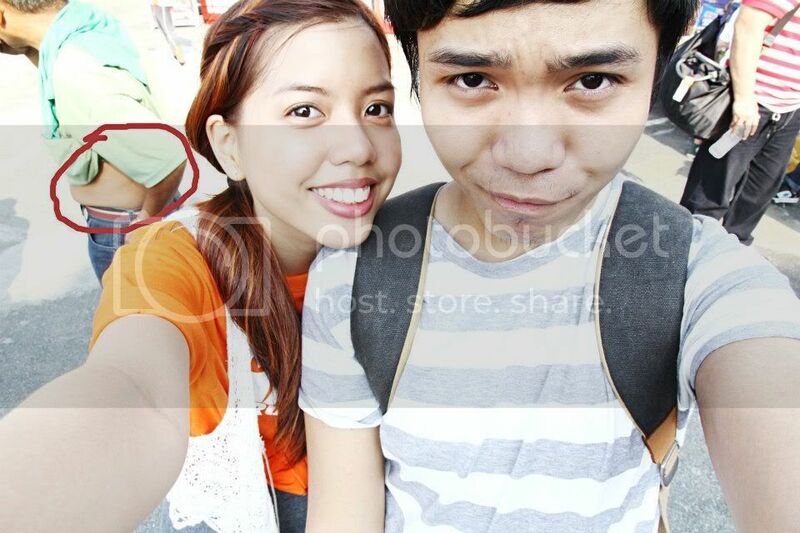 And it was such an adventure because we were up and about by 4am for this event! 🙂 Hooray! I’m with Garfield! Oh you fatty orange catty! Here’s me being weird flailing my arms around because I didn’t want no photos taken of my I woke up at 3am face. Oh and here’s my 4 colored hair! Haha! It’s confused, it doesn’t know its true color! And of course, how could I not take an outfit photo?? HAHA! Lookbook Garfield edition? 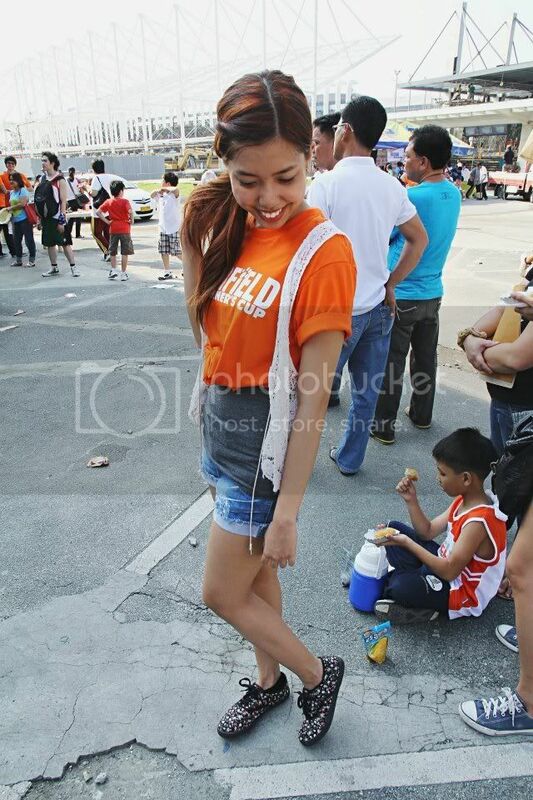 :)) I was originally wearing a grey top, that white vest, and shorts, but then I had to wear this Garfield shirt for the event so I did some on the spot stylin! HAHA! Hype me? :)) I’m kidding.